I love the idea of having fun with your wedding photography and these ideas need to be shared and encouraged. Weddings are often about the girls, and rightly so as it has been my experience that most women think about their wedding before they meet a guy, whereas a guy starts to think about his wedding the day after he buys the ring. 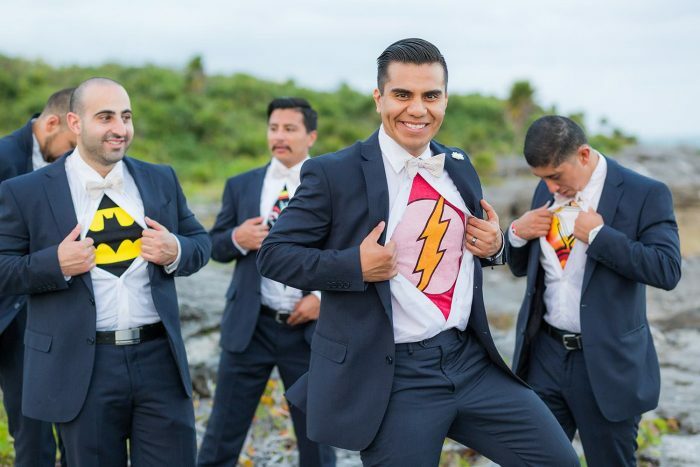 For guys that are into Superhero’s this is a great way of having a little fun with your cancun wedding photographer and get some awesome images that you will laugh about for decades. I hope you enjoyed this post as a little fun that guys can have with the wedding. It take very little time out of the day and adds such a great visual value that I encourage all my couples to think of ideas that mean something to you and lets do them on your wedding day. Weddings are supposed to be special, so lets make them unique, truly you and special.